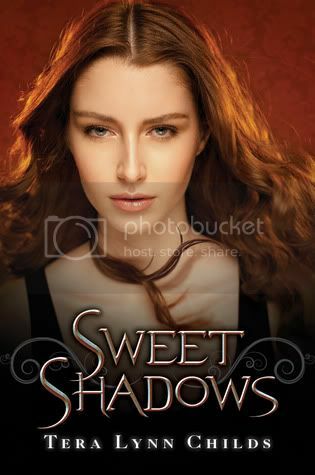 Gretchen may have known she was a descendant of Medusa long before her sisters—after all, she’s spent her life fighting the monsters that escape the abyss—but that doesn’t mean it will be easy to teach the other girls the ropes. Can she rely on Grace and Greer, or even trust herself to keep them safe? Greer has pressing social commitments on her plate and precious little time to train in her newfound powers. But that wretched second sight won’t leave her alone, and her fabled heritage seems to be creeping into her fashionable life. Grace has worries closer to home—like why her brother, Thane, has disappeared. He’s hiding something. Could it possibly be related to the secret heritage the triplets share? A series involving Medusa — haven't read anything like that. Something new is always interesting. Hope you're enjoying The Selection. I still haven't read the first one but I always wanted to. I heard such awesome things, so maybe I get to read the first one before this one comes out! Sadly, I haven't actually gotten the chance to read Sweet Venom, but I've heard so many good things about that book! And the cover looks so good! I still need to read Sweet Venom, but the cover for the sequel looks great! I still haven't read Sweet Venom yet. I am really wanting to especially since it involves Medusa! It sounds amazing and the sequel sounds just as good. Nice! I got the first one on my TBR pile, thought I give it a try...one of these days!! Have soooo much to read now! Sweet Venom is in my wishlist (mostly because it's with the Medusa girls and it's one of my favorite myth), i cannot wait to read it! Sweet Venom was a great book and I can't wait to dive back into that world for round 2! Great pick! I'm intrigued. I may have to check out the first book! I haven't read this series, but it sounds good! Your WoW reminds me that I still need to read Sweet Venom! I love anything with mythology. Great pick! I still need to read the first book! Great pick! I haven't read this series yet, but I do love the covers!